The temperature's dropping, the holiday ballads are bumping, and the bell-ringing Salvation Army St. Nicks are attacking blocks nationwide. That's right, 'tis the season...for dudes dressed as Santa Claus to break the law. While the storybooks that we grew up on depicted Señor Claus as a jolly soul who annually delivers presents to children around the world, we can't help but notice that the real deal seems to get himself into quite a bit of trouble. 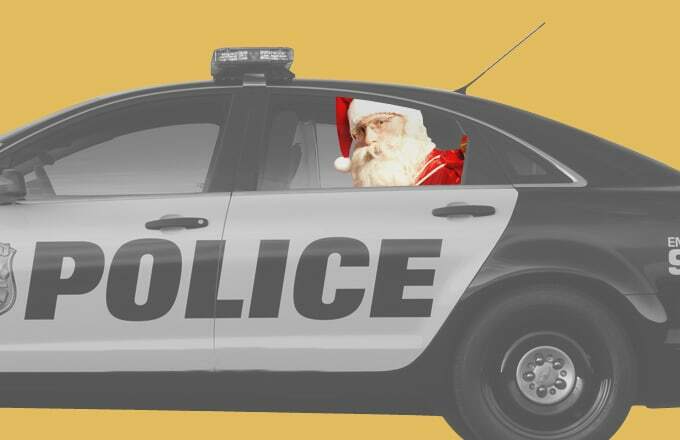 Around this time every year, a surprising number of headlines regularly surface about Father Christmas scoring himself DUIs, flashing innocent bystanders, and even attempting armed robbery. Not to mention, SantaCon. Hide your kids. Hide your wife. Before you do, though, see just what the criminal Kringles are capable of with these 15 Memorable Bad Santa Arrests.